As a small tropical island with limited resources 84% of our island's electricity is generated by burning diesel fuel to the tune of about 50,000 barrels of oil per month. In 2007 we decided to do our part to reduce this dependency on fossil fuel and the subsequent environmental impacts. So we installed a large photovoltaic solar array on the roof of our factory. At the time this supplied 75% of our factory’s energy needs. 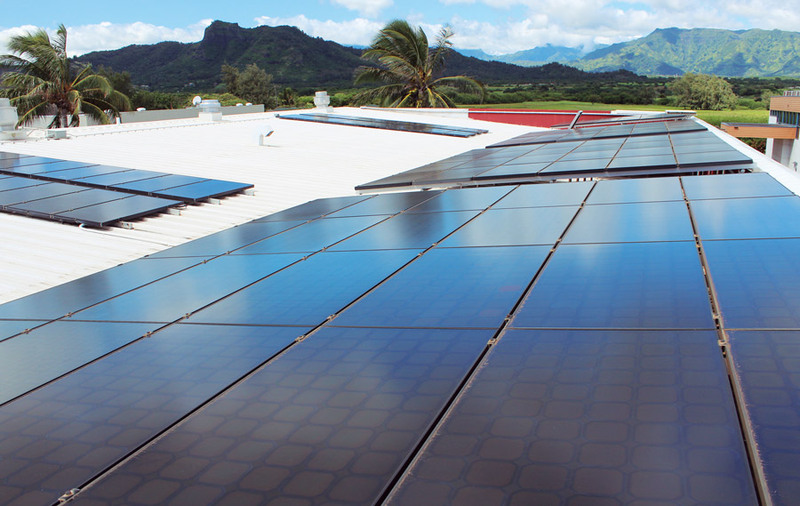 In 2009 we added even more solar power to cover all of our energy needs. Now we are fully running on sun power!